This autumn, we caught up with a few past Tate Collective contributors and asked them to tell us about someone they think is 'one to watch'. 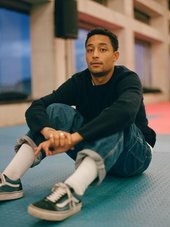 Back in 2014 Loyle Carner performed at Loud Tate, a festival at Tate Britain. 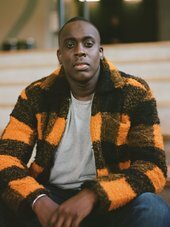 Here he returns to Tate for a chat with his up and comer, rapper Barney Artist, who is known for a similarly frank and honest style of music. Watch the pair talk about what art means to them and where it’s headed. Directed by filmmaker Nadira Amrani, this is the first of our series of Artist Meets films, showing conversations between old and new Tate Collective friends.